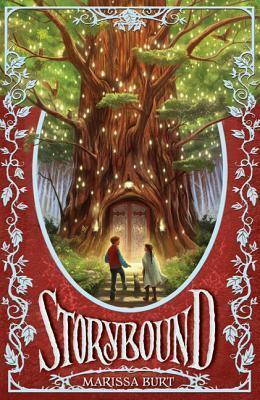 Today I’m excited to interview debut author Marissa Burt about her book STORYBOUND that was released on April 3, 2012. I really enjoy fairy tales and one of the things I love about Marissa’s book is that her idea is so unique—having someone from our world go into the fairly tale world. In the land of Story, children go to school to learn to be characters: a perfect Hero, a trusty Sidekick, even the most dastardly Villain. They take classes on Outdoor Experiential Questing and Backstory, while adults search for full-time character work in stories written just for them. In our world, twelve-year-old Una Fairchild has always felt invisible. But all that changes when she stumbles upon a mysterious book buried deep in the basement of her school library, opens the cover, and suddenly finds herself transported to the magical land of Story. With the timeless appeal of books like A Wrinkle in Time and the breathtaking action of Inkheart, Storybound has all the makings of a new classic. Brimming with fantastical creatures, magical adventure, and heart-stopping twists, Storybound will leave readers wishing they too could jump through the pages into this enchanting fairy-tale world. Hi Marissa. Thanks so much for joining us. 1. Tell us a bit about yourself and how you became a writer. I have always loved books and have read just about anything I could find since I was a little girl. I think most people who enjoy reading think about trying their hand at writing. My time came after my first son was born, when I had the revelation that working toward my dreams would not get any easier – haha! As any new parent knows, time is at a premium, and I began to make the most of it. Writing STORYBOUND was so much fun, and I would squirrel away a few hours here and there to write favorite scenes. As the story took shape, I began to see that it really could be a book, and I started walking down the road to publishing. 2. I love to read too. But unlike most people who write, I didn't even think about writing until I was in my 40's. I love that Una goes into the land of Story and how she gets there. Tell us a bit about how you came up with the idea for your story. Some of my favorite stories are the ones that so immerse you in the tale that you find yourself racing ahead to the ending, eager to see what happens on the last page. But it’s a bittersweet sort of thing, because I never want to say goodbye to my favorite characters! This idea of a story-world that carried on after The End was written was the inspiration for STORYBOUND. I wondered what that world would be like and how characters would think about entering books written for them. That grew to imagining what might happen if a girl from our world fell into theirs. 3. That's such awesome inspiration for your story. World building is such an important part of a fantasy story. And you’ve done a great job showing us the land of Story and its problems. What was your world building process like and do you have any tips you could share with us? Great question! I think world building was an ongoing process for me, and the land of Story grew as the book changed. In the early days, I had a map of the world (stick figures included! ), and I also cut out pictures from magazines that inspired my setting (these were the days before Pinterest!) I also mock-interviewed most of my key characters, which was a huge help for thinking through the economy and culture of the world. I’m a fantasy-lover at heart, so some of my favorite scenes in STORYBOUND have to do with the Fantasy District, where I could live out some of my own dreamworlds. 4. I haven't tried Pinerest, but I best it's great for fantasy world building. Both Una (love her name) and Peter, who’s in training to be Prince Charming, are such interesting characters. Una is smart and independent but vulnerable being all alone in the world. Peter likes to be the hero and is a little full of himself in a charming way. Tell us how you developed them as characters. Which one came to you first? In a way, they both came to me at the same time. I had this idea of a Reader who fell into a book world, and I knew the Reader would encounter a character friend along the way. In the very earliest days of the story, it was actually Peter who was from the Reader’s World, and Una was a character-in-training. But the more I came to know the characters, it just didn’t fit quite right that way. Una kept trying to take charge, and Peter was a Hero-to-the-core, so I suppose their Tale couldn’t have been truly written any other way. 5. Your agent is Laura Langlie. Tell us how she became your agent and about your road to publication. I can’t say enough wonderful things about Laura. I feel like I hit the agent jackpot when I queried her! She has been such an encouraging and helpful guide to this whole process, and I’m so happy to have her investing in STORYBOUND! 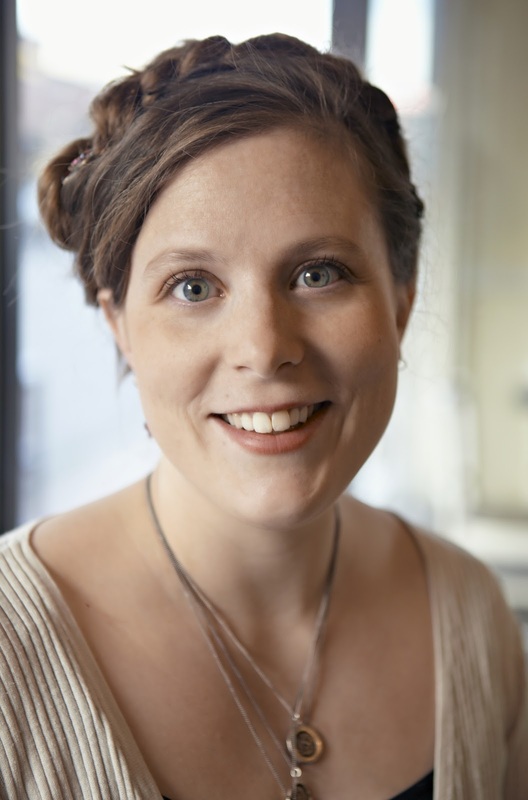 She was in the first round of agents I queried with the then-titled THE TALE OF UNA FAIRCHILD back in the fall of 2008, and – as anyone who’s queried Laura knows – she is a speedy responder. Within a matter of days she had requested the full and offered representation. It was quite the whirlwind…followed by a bit of a wait. The manuscript was on submission for several months when Erica Sussman asked if I’d be interested in doing an exclusive revision with her. Of course I was thrilled with the opportunity! And what a golden opportunity it was! Erica has been a pleasure to work with, and STORYBOUND would not be the book it is without her wonderful professional input and enthusiasm. Erica and I worked through several rounds of revisions before she took the manuscript to acquisitions where –hooray! – it found a home with HarperCollins Children’s. My suggestion to authors considering a revision is to welcome it. Revise boldly! Change things around! There’s no scarcity of creativity, and trying new things can take your story to the next level. 6. Great advice to revise boldly. I've come to learn that the hard way but I agree with you. You’re a member of The Apocalypsies and have also banded together with other middle grade authors like Jennifer Lundquist and Laura Reyes in that group to do a book tour. What made you decide to join this group versus any other 2012 debut groups? How did your book tour with the other debut authors come to be? How happy I am to be a part of The Apocalypsies! While on submission I had joined another online group of querying authors and discovered what a wealth of mutual support, sympathy, and encouragement can be found there. Writing can be a lonely business, and having others who understand the process is a lifeline. A few of the afore-mentioned authors-on-submission were already a part of The Apocalypsies, so I happily joined in as soon as I could. Because we are all debut authors, we can share tips about the timeline, marketing ideas, and offer each other support for the roller coaster ride. There are several of us Apocs out in the Pacific Northwest, and we try and meet regularly for coffee and a chat about all things writing. This has been a great way to network locally and team up for events like the NW Bookfest and author signings. The Words of Wonder Book Tour came about this way as Apocalypsies in California and Washington decided to join forces for signings. As a debut author, this is a wonderful approach, because it multiplies your effectiveness. Besides all that, it’s so much fun! We recently had Part 1 of the Seattle leg, and I toured with Anne Nesbet, the author of THE CABINET OF EARTHS and J. Anderson Coats, who wrote THE WICKED AND THE JUST. We had a blast and sold some books along the way! 7. That's great some of you live near each other. What an added bonus! What advice do you have for other debut authors about marketing their debut book? Swag: Bookmarks are the key thing here. The rest is all just for fun. Blog tours: I didn’t organize a formal one, but I had plenty of interview opportunities that I scheduled for the weeks leading up to release day. This was a relaxed approach to a daily tour. I found Goodreads giveaways to get the most traffic. Figure out which social media platform best fits you, and stick with it. Don’t try and do them all. For example, I happily said goodbye to blogging when I realized I didn’t have the time or energy to do what it takes to build followers and engage with other bloggers. Instead, I polished up my website and decided to focus more on facebook as a platform. Try to limit online time. I found that all the marketing opportunities were quite consuming and, with the prevalence of social media, also became invasive. Try and stay planted in real-life relationships and be strategic about your time online. Notice how I say “try”? ;) I’m still figuring this out, but I’ve noticed my stress level seems directly related to plugged-in time. Be appreciative. I still feel like hugging every person who actually reads my book and especially those who go on to post a review (even the critical ones!) And then there’s the gratitude I have for all the people who’ve worked on STORYBOUND! Don’t be shy in telling them. 8. That's really good advice. I really think those Goodreads First Reads giveaways are great. And makes the whole debut process feel a bit less overwhelming. What are you working on now? Thanks Marissa with sharing all your great advice. You can find Marissa at her website. Marissa generously offered an ARC for a giveaway. All you need to do is be a follower (just click the follow button if you’re not a follower) and leave a comment by midnight on May 28th. I’ll announce the winner on May 30th. If your e-mail is not on Blogger, please list it in your comment. International entries are welcome. If you mention this contest on your blog, Twitter, or Facebook, please let me know in the comments and I’ll give you an extra entry. 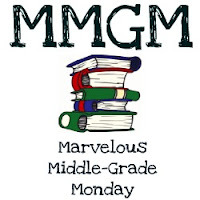 Marvelous Middle Grade Mondays was started by ShannonWhitney Messenger to spotlight middle grade authors. Check it out here. Wednesday I'll be interviewing debut author Stephanie Guerra and giving away an ARC of of her YA book TORN. Monday's Memorial Day (can you believe it?) so I'm taking the day off. Hope you do too. I'll be back on Wednesday that week interviewing debut author Laura Pauling and giving away her YA book A SPY LIKE ME. And in June I have two awesome interviews you won't want to miss. On June 4th I'm helping Elana Johnson celebrate the release of SURRENDER. It's one of the most awesome second books in a series that I've read. I'm giving away my ARC (only because I bought a book for my daughter and me. She loves it too and would not let me give it away otherwise). On June 11th I'm interviewing debut author Jennifer Bosworth and giving away an ARC of STRUCK, another awesome book. And don't forget our Tuesday Tips and Casey's Agent Spotlights on Thursdays. Hope to see you on Wednesday! One of the joys of reading your blog is coming across new books that I want to read. This one sounds absolutely charming, and I can't wait to pick it up. Thanks for a great interview, and Marissa, good luck with the sequel! Marissa, I absolutely love the premise of this story! Thank you for sharing your journey with us. I really enjoyed hearing about your relationship with your agent and then your editor. Much success to you! Sounds like an absolutely delightful tale! I can't wait to read it. Thanks, Marissa, for telling us a little about the entire process. Always encouraging to hear the well-deserved success stories! Thanks Marissa for sharing about your book and your advice on marketing. That was definitely helpful. Marissa's book sounds so fascinating! Who wouldn't want to fall into the world of their favorite story? Thanks for the giveaway, Natalie! Wow! Storybound sounds like a great MG story. I'm always on the lookout for those! Congrats, Marissa. I'm looking forward to reading STORYBOUND. And I enjoyed the insights on promoting a first book. Thanks for the interview! Storybound sounds intriguing. I've run across Storybound before (actually... I think it was thru one of the goodreads giveaways that drives so much traffic) and would love to get my hands on a copy! Thank you for the giveaway. I love the cover! Storybound sounds like a great story. I've been wanting to read Storybound since I first saw it months ago. Sounds like a great read!! I need something to transport me away from here! This one has been on my radar for a long time. I'm so glad it's out in its 'real' form and can't wait to read it. Revise boldly. I like that. Thanks, Natalie and Marissa. Thanks for your interest in STORYBOUND, everyone! Happy reading! I have been so eager to read this one! I actually have a library copy at home, though I haven't gotten to it yet (SOON). What a great idea for a story, I would love to read it. Best of luck. Thanks so much for the awesome giveaway! I'm very excited about this book. This sounds lovely. Revisions are the worst! Your blog has become a huge source of new books. I make a note of all the books I come across in your blog, they are increasing the height of my TBR pile. Storybound sounds like a great book. Wishing Marissa good luck. I probably shouldn't enter to win, but hi Marissa! And thanks for featuring her, Natalie. Storybound sounds enchanting. Marissa's marketing advice is really helpful - to choose the social media platform that best fits you - it really can be overwhelming. Fabulous interview! Lots of great information and the book sounds wonderful. :D Thanks, Natalie. And congrats to Marissa! Great interview and this book sounds awesome. Love the premise. That sounds like a fabulous story and I would love to win! A wonderful interview and such an excellent story. I seriously can’t wait to read this blog. I’ve been antsy to read it for months, it sounds so wonderful! Yay!! This sounds great, I have followed you on Twitter as HeavenMHer. This story seems so delightful! Would love to read it! This is one that has been on my list since I first heard about it! This sounds like a great book, definitely adding it to my to-read list. Another great interview, Natalie, I love to hear author's backstories, especially debut authors. Thanks so much for the chance. I love the sound of Storyboard. Great interview, its always nice to read about a Debut Author. This sounded like so much fun to read that I requested a copy from the public library. I'll have a copy in hand soon. Best wishes to Marissa. Keep those interesting interviews coming, Natalie. Great interview! I must now read this book! A wonderful interview thank you. I would love to read STORYBOUND. It looks amazing. I have been really excited about this book since I read about the deal in PW. It's such an interesting concept and sounds so charming. Laura Langlie rejected my full (although I realized later it needed a major revision) but was so polite and lovely about it that I can imagine she'd be a great agent. Your success story is very inspiring and the book sounds great . . . I love books that incorporate a fairy tale element. I would love to read this with my kids. Sounds very exciting. I liked your advice for debut authors, especially to stick with one platform. It all can get pretty overwhelming for writers as well as the readers. I already had this book listed on my TBR list. I'd love to win a copy! This was a great interview! And the book sounds fabulous! Really quite original. I was always a Madeleine L'Engle fan, and I absolutely love the Inkheart books. Thanks so much for the advice about limiting on-line time. I'm not an author but I do like to read reviews and keep up with all the new books out there. However, I find that you could spend every waking minute doing just that and have a heart attack in the process!! I want to enjoy my time with books. I seem to spend more time on line than I do reading and there's something wrong with that! I'm starting to weed thru the blogs and pick out my favorites. It's somewhat comforting to know that someone else, and in your case, an author, has had the same experience. Thanks again. I'm looking forward to reading your book. It would be nice to win a copy but I'll buy a copy if I don't win! Marissa Burt was forever getting notes sent home from teachers about reading novels during class. She grew up in Oregon, and drifted eastward through Colorado, Illinois, Tennessee, and South Carolina before coming back to the Pacific Northwest. She now lives in the Seattle area with her husband and three sons. This one looks soooooo great! And I love to hear she didn't really start writing until she was 40!! As someone that age working on a novel it was great to see!!!! "Revise boldy"--I love it! And I'd love a chance to win a copy--this one's been on my to-read list for a while! Great idea for a book! Great interview and this book looks amazing! I love that Marissa had a map of the world as she was writing so she could keep track of everything! I would love to win this book! The cover alone looks amazing! Marissa, thanks for sharing your insights, especially when it comes to Revise Boldly. I think that takes a lot of courage and faith in yourself! Ohh, some lovely and helpful tips! I liked it! thanks for sharing! This book looks amazing! The cover is absolutely fabulous! I can't wait to read it. My daughter received this book from her grandma for her tenth birthday, and she is just about finished. I tried not to get done before her, but got to the end last night and eagerly await the sequel. My husband,waiting for the crowd to thin, has finally gotten his turn with this book. Very good interview.......and sound also!!!! !